At Lonestar Sales Performance we help small business owners grow their businesses by measurably improving their sales performance and of course, their sales revenues by consulting and sales automation. Do you want your salespeople to become measurably more effective and efficient while they interact with your customers and clients in new and better ways? Do your products and services need to be explained by a sales person? This is where we help. We help small businesses integrate sales and marketing automation into their current salespeople’s day-to-day activities helping them to sell more effectively and efficiently without having to re-engineer your sales team or your company? It used to be that customer relationship management (CRM) software was used to report on what the sales person did. The problem was often that sales people found very little value in documenting notes in a system when they got nothing out of it. Those days have changed with a sales automation tools the sales person gets something out of using the software. 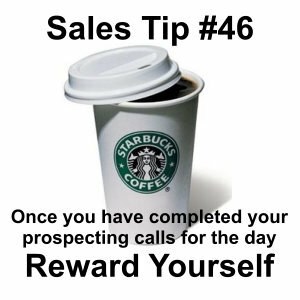 Repetitive tasks are automated allowing the sales person do what they do best which is speak to prospects and look for new opportunity. We specialize in helping small businesses integrate Infusionsoft (Sales Automation Software) with their current sales teams. 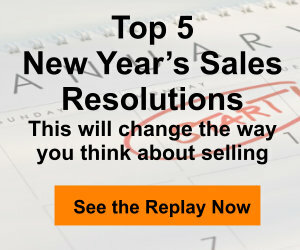 I have spent my career helping sales people improve their results. When integrated thoughtfully into your sales process we can ensure Infusionsoft will be the incredible tool that can change your results. We focus on making your sales team significantly more productive. Unlike some consulting groups, we do not advocate fully automating the sales process. Some businesses need to retain and even develop personal salesperson to client contacts. They need to do it better, more consistently, and seamlessly. 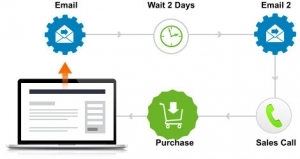 Using Infusionsoft features like lead nurturing and lead scoring while automating the right steps in your sales process you will get a more effective and efficient sales process. 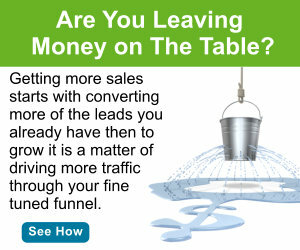 You will find your salespeople converting more prospects into customers. We don’t work to replace your sales people or your sales process. Instead, we help you have a more measurable, consistent and effective selling process that focuses on customer and client buying experiences. Why? Because as clients benefit from a better buying experience when Infusionsoft ensures your sales process also delivers a better customer experience. Infusionsoft has been one of the best things we have done in our business, I wish we had done it years earlier. Our prospects and customers alike tell us how much they appreciate the increased level of communication. Since implementing a sales and marketing automation strategy, our revenues have grown. Automating tasks that need to be done during each sales engagement giving prospects a consistent sales experience, shorting our sales cycle and helping to make sure no prospect falls through the cracks. I highly recommend that any small business could benefit from working with Colin Parker and Lonestar Sales Performance. 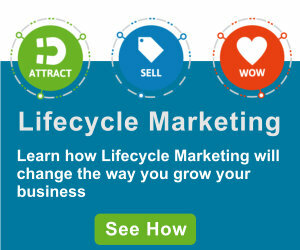 Considering sales and marketingsoftware for small business, we can help. We have helped small business and their sales teams in a variety of industries from software, construction, renovations, legal, medical, bookkeeping, accounting, training, education and consulting practises. Contact us today and we can see if Infusionsoft might be a fit for your business.